Our Single Superior Rooms are approximately 14m2. 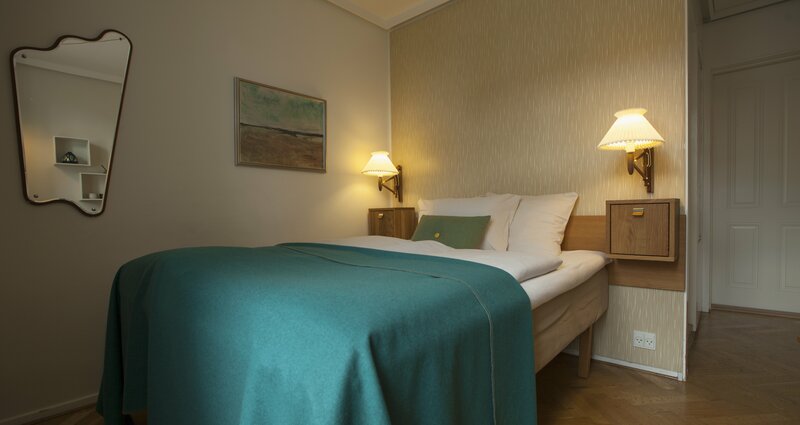 The Single Superior Rooms have a 140 cm wide bed and they are either overlooking H.C. Andersens Boulevard or the side street (Studiestræde). These rooms are all dedicated to the 50s. See how it is to stay with a design loving friend in Copenhagen.